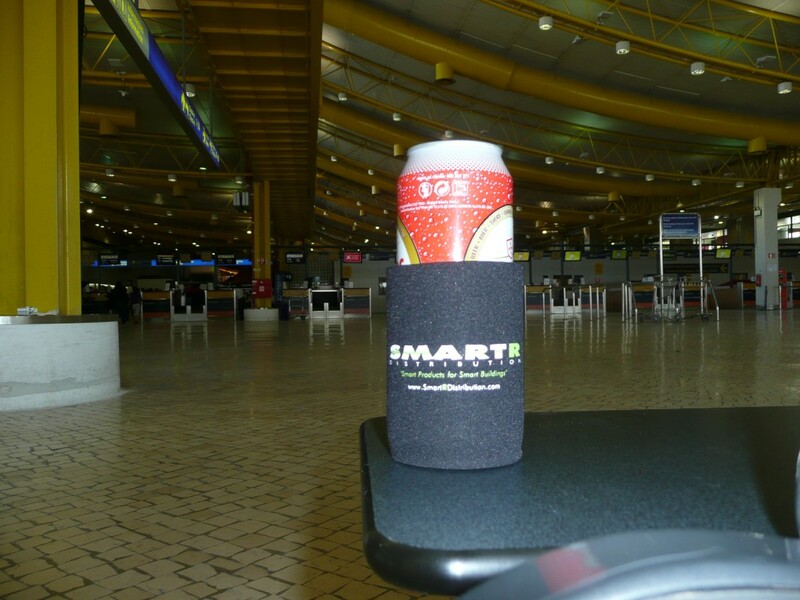 Friends of Smart R are busy spreading our name worldwide by ensuring they always pack their now-internationally-recognised Smart R stubby holder ( or "Koozie" as it is known "down under") as their number-one "must have" for their journey. Take a look below and see where the Smart R name has been to so far! 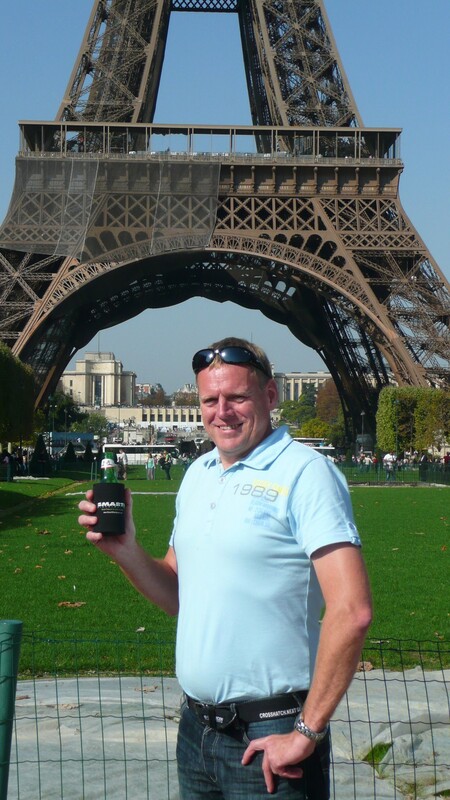 If you would like to be featured on this page then make sure that you take your koozie with you on your international journeys and get those photos into us straight away -we'd love to see them! Keith Henderson of HID is at it again! Does he ever go home? 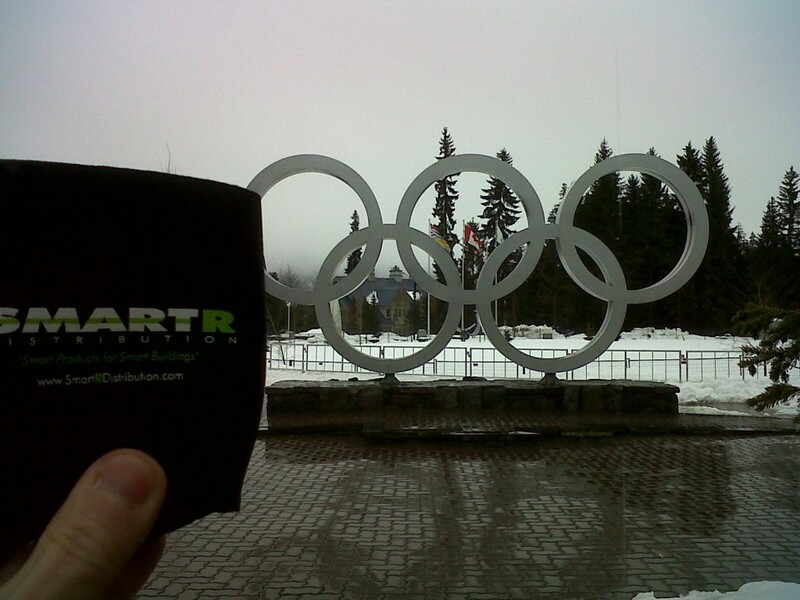 Here he is with his koozie at the 2010 winter olympic site at Whistler, Canada. 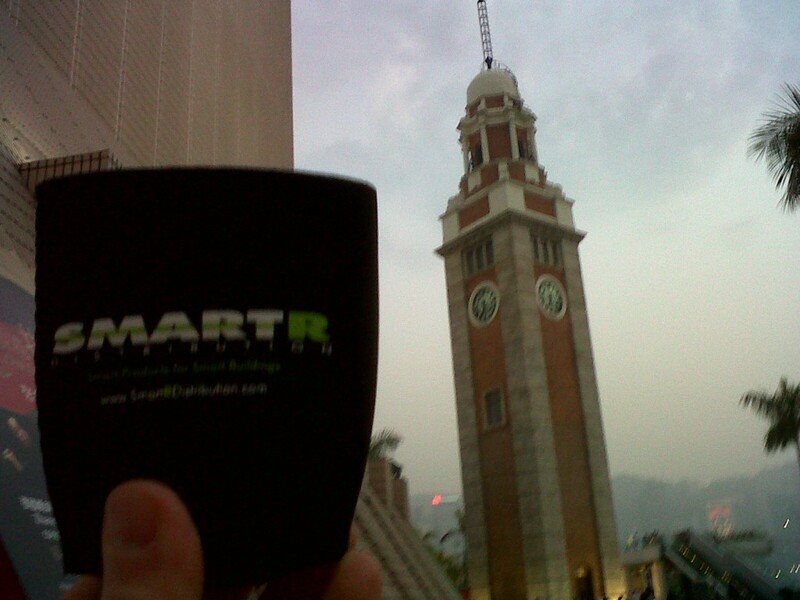 HID's intrepid traveller Keith Henderson is at it again - this time killing time by the clock tower in Kowloon, Hong Kong. 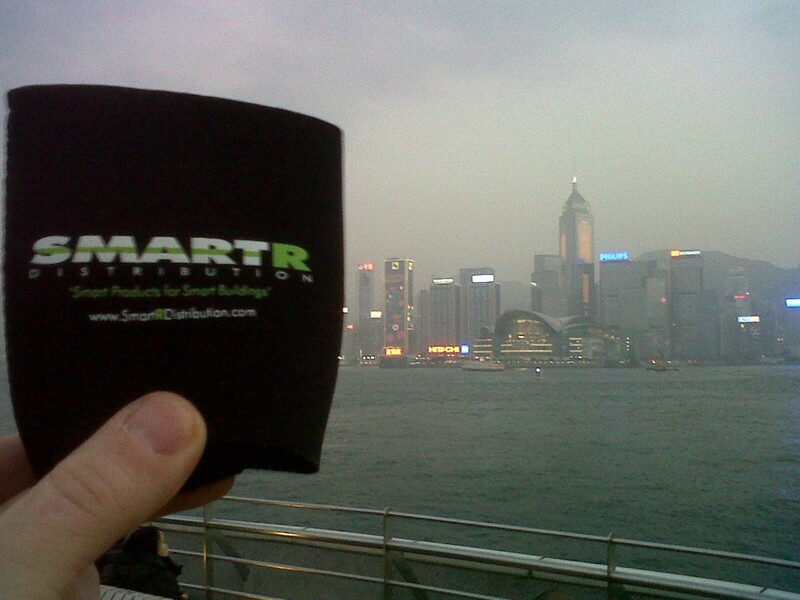 Keith taking a SmartR view of the Hong Kong skyline. 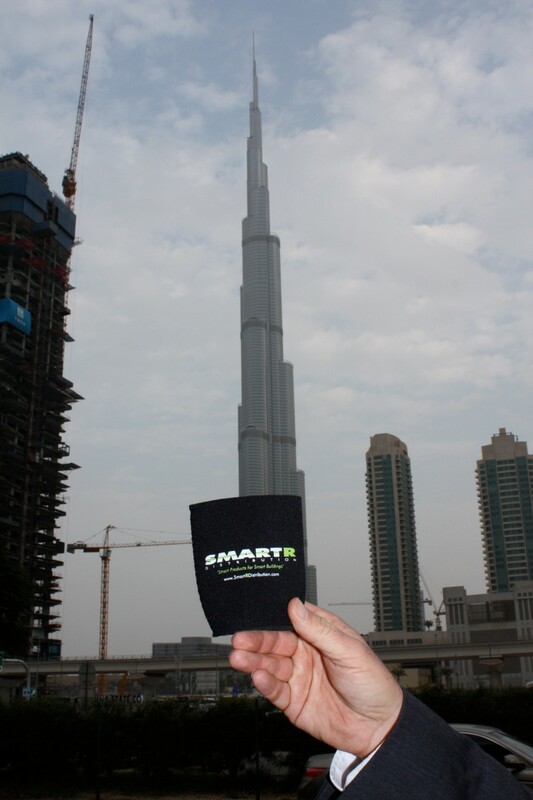 A koozie almost half way up the Burj Dubai! Many thanks to Scott Pearson of Farpointe Data for providing this one. 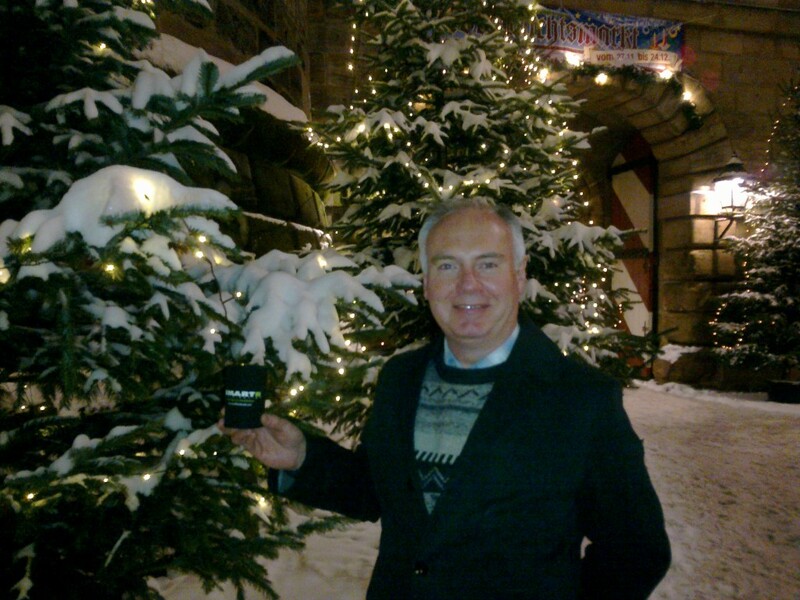 Derek of Smart R at the Christkindlesmarkt (Christmas Market) in Nurembourg, Germany. 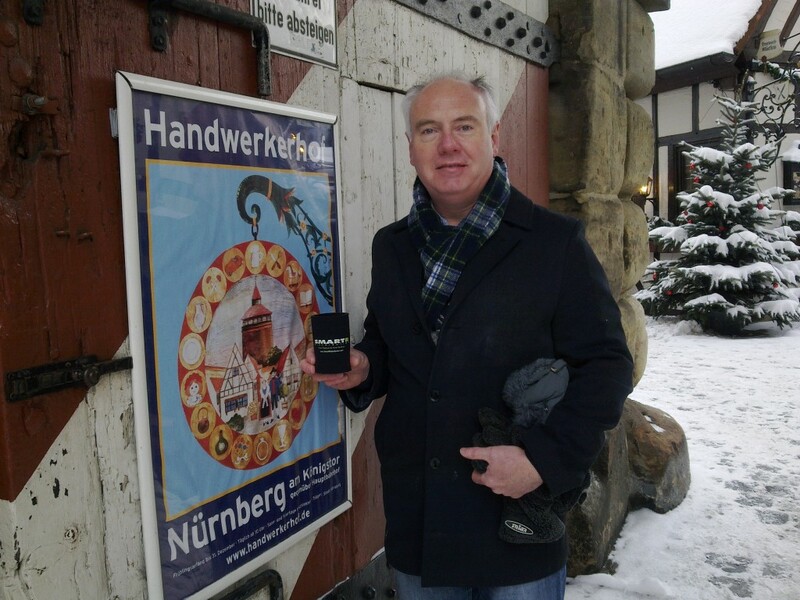 Unfortunately Derek found the Smart R koozie is too big for a glass of mulled wine. 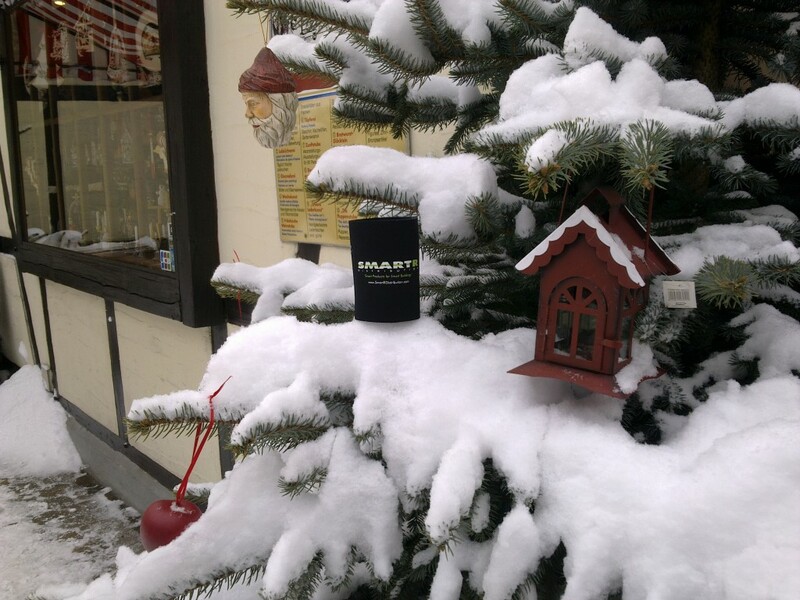 A koozie on the Xmas tree! Derek still with his koozie at night after a curry at the local Indian restaurant. OK, it might not be traditional German fare, but it was VERY cold in Nurembourg and helped fuel the trudge back to the hotel! 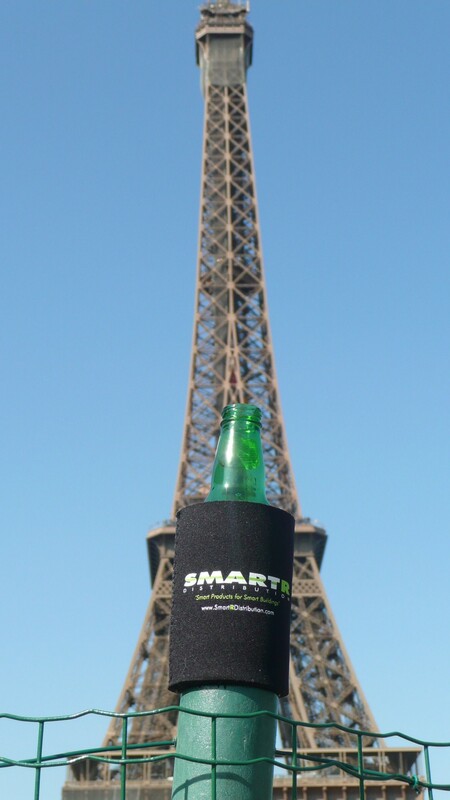 Smart R almost as big as the Eiffel Tower! 'Just a quick one before the flight. Allo allo - 'ooo eez zis ? Keith Henderson of HID Corporation at Fort Fincastle in Nasseau, New Providence Island, USA. 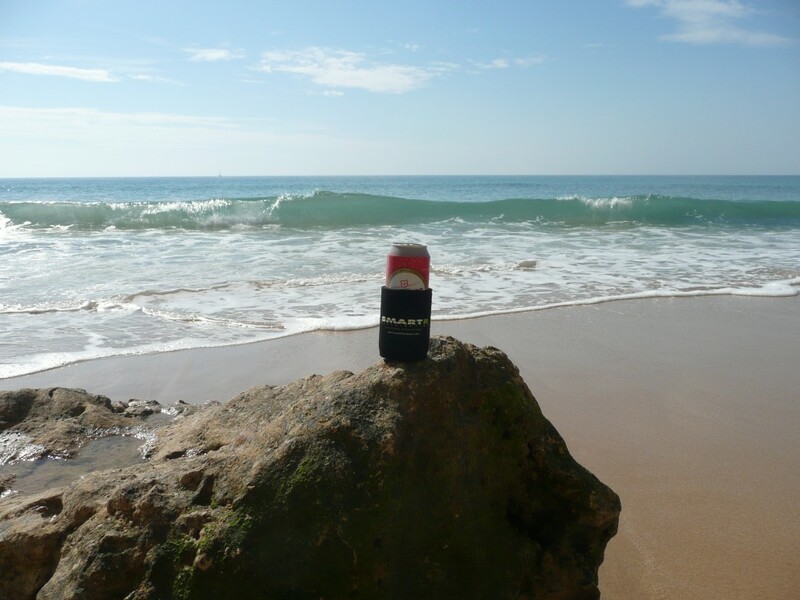 Neill of Smart R eyeing-up his next motor in the Algarve, Vale de Carros, Portugal - with his koozie of course. Smart R bigger than the Empire State Building!!! (well...maybe not quite...). 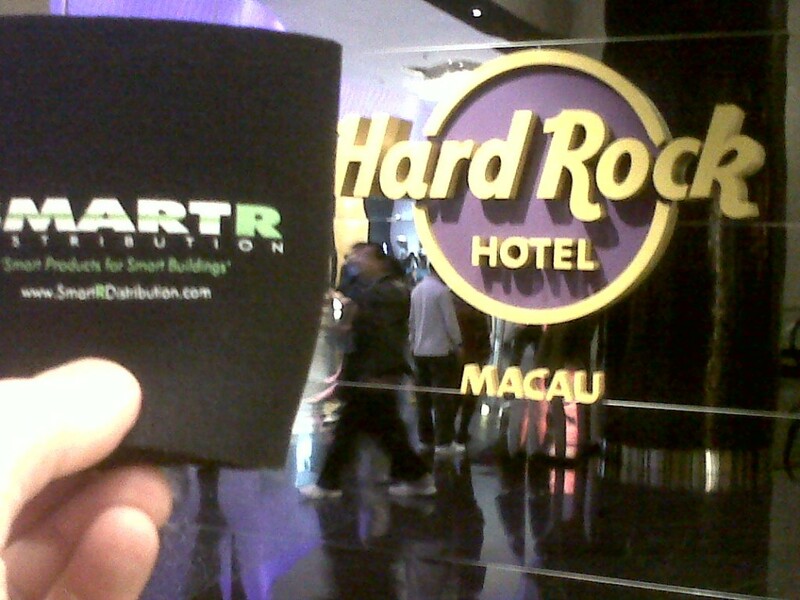 Smart R bigger than the Statue of Liberty!!! (OK - it was worth another try...). Courtesy of you know who. Koozie at the Yankee Stadium in New York. Fort Charlotte in Nasseau, New Providence Island, USA. Brace yourself Rodney! Our UK friends will understand this one and be surprised that this picture was actually taken by Neill of Smart R in the Algarve and not in Peckham!